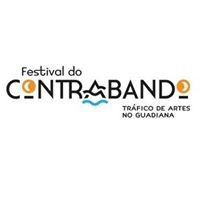 Festival do Controbando (Festival of Contraband) is a cultural event that pays homage to the smuggling of art - an activity that, throughout history, was an important part of the culture of those living close to the Portuguese/Spanish border. Alcoutim (Portugal) and Sanlúcar de Guadiana (Spain) were popular with art smugglers, as the two countries were divided only by the Guadiana River. The festival promises an entertaining three days on both sides of the river!